Fady ASLY of ICC Georgia: "Unfortunately Georgia has lost attractiveness for foreign investors"
Is the business climate now getting any better? Do investors get adequate protection? Is it a good time to start business in Georgia? 17.04.2019 (Caucasian Journal). Our today’s guest is Fady ASLY, Chairman of International Chamber of Commerce (ICC Georgia). Since its launch in 2002, ICC has been not only a top executives’ club, but often a shelter for mistreated businesspeople, where they could find an efficient support. Caucasian Journal’s readers are the first to hear Mr. Asly’s answers. 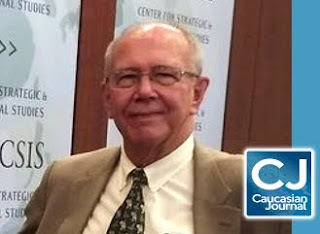 Alexander KAFFKA, editor-in-chief of Caucasian Journal: Dear Fady, first of all, thank you for support to Caucasian Journal and attention to our growing readership. Though you are not Georgian, you are widely popular in this country. Many people know you as a leader of business associations, an entrepreneur, and even an original writer. But let us imagine you are facing an unfamiliar audience. How would you explain why you care so much about Georgia? Fady ASLY: When I woke up early in the morning of April 28, 1998, hours after my first ever arrival to Georgia, I opened the balcony door of my hotel room and was taken aback by the beauty of the landscape, Mtatsminda’s amazing green hill with its small red-roofed mushroom houses under a clear and bright blue sky. Laura THORNTON of NDI Georgia: "Georgians cited domestic violence as top problem, followed by early marriages, and sexual harassment"
Are women and men treated equally in today’s Georgia? Are women represented proportionally in government and legislature? Is the society prepared to freely discuss all the gender-related issues? 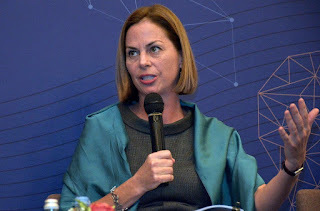 10.04.2019 (Caucasian Journal) As Caucasian Journal continues to cover the current stage of civil society development in the Caucasus, we have prepared this kind of questions for our today’s guest Laura THORNTON, Global Associate/Senior Director at National Democratic Institute (NDI) in Georgia. Alexander KAFFKA, editor-in-chief of CJ: Dear Laura, it is a pleasure to have you with us on this beautiful springtime day, just a short while after celebration of more than one Georgian holiday related to women and women’s rights. Flowers, gifts, postcards have been all around. May I start by asking about your attitude to the traditional way such holidays are celebrated, and to the idea of women’s and mother’s days in general? Laura THORNTON: Absolute pleasure to be here. Well, I certainly do like flowers, and I am not one to say that there is anything fundamentally wrong with getting the public to focus one day a year on the often rather dire situation many of the world’s women find themselves, or to celebrate mothers. Do I wish that we could have this conversation and focus 365 days a year? Absolutely. 28.03.2019 (Caucasian Journal). 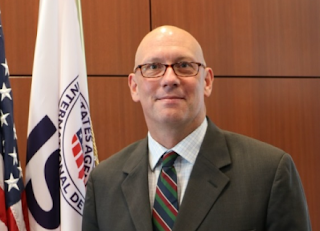 Today, Caucasian Journal’s special guest is Peter A. WIEBLER, Mission Director of USAID Georgia, who kindly agreed to answer our questions. (Read the Georgian translation here). 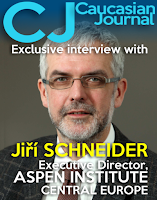 Alexander KAFFKA, editor-in-chief of CJ: We highly appreciate your attention towards our journal’s readership. Caucasian Journal is a new project, which emerged in the aftermath of regional political developments of critical importance, such as presidential elections in Georgia and change of leadership in neighboring Armenia. In fact, when we read your Elections and Political Processes project description (read more here), we were pleased to find paragraphs almost identical to our mission statement. But let me start with a cautious question. 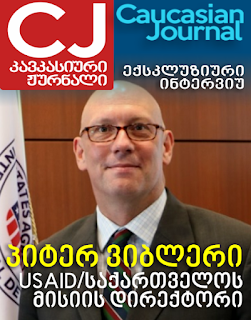 USAID planning to spend $4-5 million in direct awards to Georgian civil society organizations sounds like an important piece of news, but we have found very little media coverage on it, so far. Perhaps USAID is not interested in wider dissemination of such information as a matter of policy? 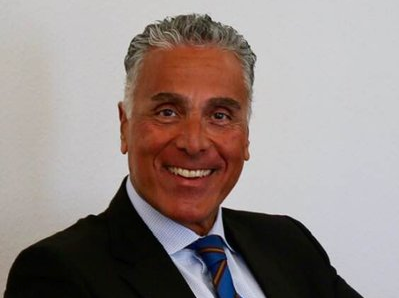 Peter A. WIEBLER: First, congratulations on your new project! We wish you the best of luck in this endeavor. I’m very pleased to have the opportunity to speak with you today. Honorable Kent N. Brown, the first American ambassador to Georgia, became a member of advisory board of Caucasian Journal (CJ). “I would be honored to be a member of your advisory board”, – Ambassador Brown told the Caucasian Journal. Currently Mr. Brown is vice president and advisor on government relations at JTI, and member of International Institute for Strategic Studies (IISS). “Fascinating times, tough times”, – Ambassador Kent Brown said recalling his term as ambassador in Tbilisi in 1992-1995. Caucasian Journal is delighted to present our partner Emerging Europe journal, which is inviting South Caucasian participants to its Emerging Europe Awards 2019 edition. The official press release follows below. 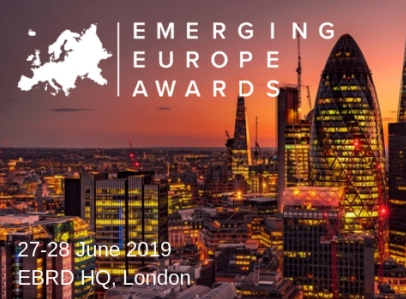 CJ is proud to be a media partner of Emerging Europe Awards 2019 . Following the successful launch of the Emerging Europe Awards in June 2018, Emerging Europe, a London-based business, media and research platform, whose mission is to contribute to the social and economic growth of 23 countries of Central and South-Eastern Europe and the Caucasus, is delighted to have launched applications for the 2019 edition. 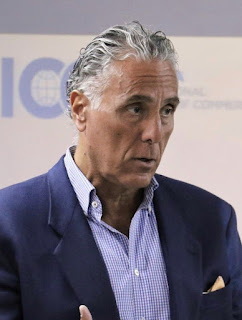 Fady Asly, chairman of International Chamber of Commerce Georgia (ICC), sent an open letter to Prime Minister Mamuka Bakhtadze. "ICC Georgia has never gone to such extremity before, but considering the exceptional aggression against local businesses and foreign investors, we cannot close our eyes anymore and witness other innocent businesses pressured and harassed again and again", - reads the open letter from the head of Georgia's largest business association. Caucasian Journal is publishing the full text of Fady Asly's letter in English below. 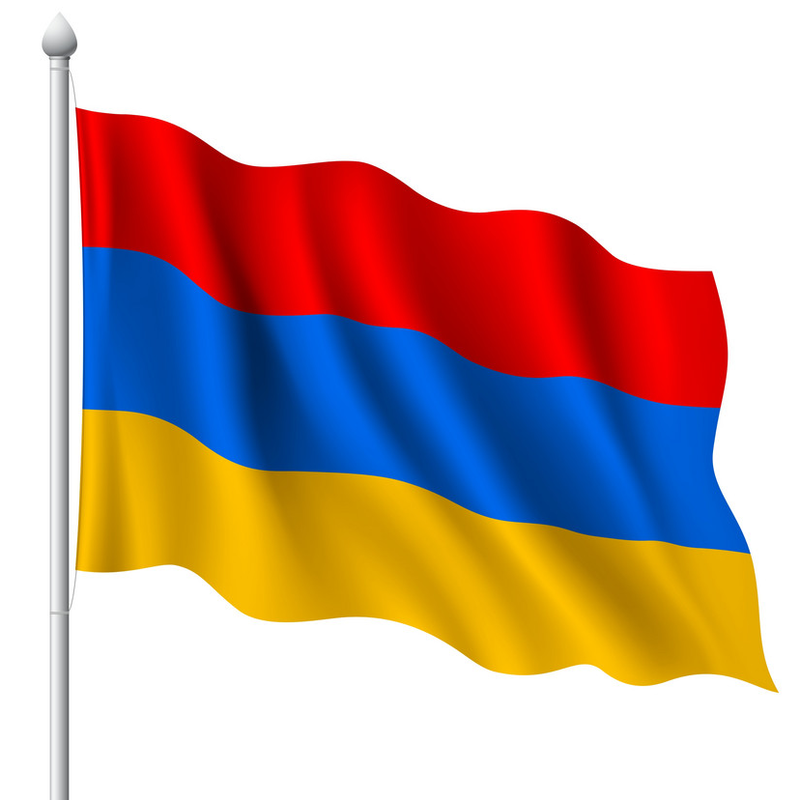 The full text in Georgian can be found in our Georgian language version. The US Department of State released the Country Reports on Human Rights Practices for 2018. All the three countries of South Caucasian region are included in the Reports. Caucasian Journal publishes the full texts of country reports on Georgia, Armenia, Azerbaijan. 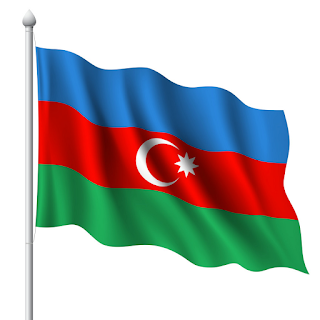 See the full text of country report on Azerbaijan below. Caucasian Journal publishes the full texts of country reports on Georgia, Armenia, Azerbaijan. See the full text of country report on Armenia below. The US Department of State released the Country Reports on Human Rights Practices for 2018. 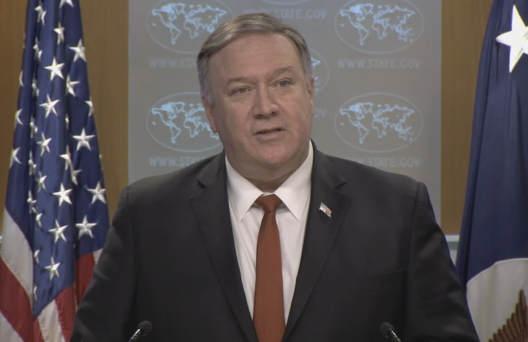 On March 13, 2019 Secretary Mikel Pompeo delivered remarks introducing the release at the Department of State. All the three countries of South Caucasian region are included in the Reports. Caucasian Journal publishes the full texts of country reports on Georgia, Armenia, Azerbaijan. 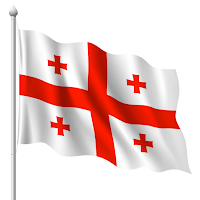 See the full text of country report on Georgia below. Join the The German Marshall Fund TILN 2019 workshop in Brussels this June! Applicants from both sides of the Atlantic are eligible while organizers especially encourages candidates from Armenia and Georgia! 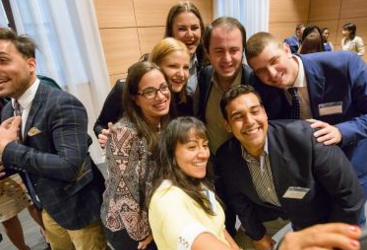 German Marshall Fund (GMF) runs an open selection for the Transatlantic Inclusion Leaders Network (TILN). The TILN 2019 workshop will take place in Brussels, Belgium, June 23-29, 2019. Applications received by March 20 will be considered for this class. 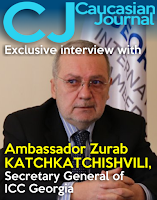 Ambassador Zurab KATCHKATCHISHVILI: "Most urgent matter is to free the Judiciary from political pressure"
© 2019 Copyright CAUCASIAN JOURNAL™. All rights reserved.